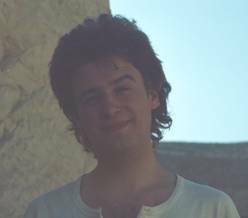 Early in 1981 I work with a group of Heidelberg students headed by Prof. Jan Assmann and Karl-Joachim Seyfried in Theban Tomb number 41. At the end of the campaign in Thebes West we decide to stop at the Red Sea on our way back to Cairo. 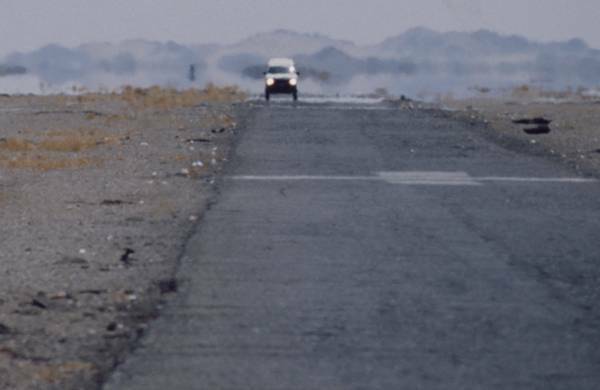 The Red Sea coastal road was reopened to public traffic just recently - seven years after the Jom Kippur war. Reaching the the coast near Qusseir we head for the north. Along the road barbed wire, partially covered by sand - red painted signs with warning for mines attached to it. Late in the afternoon we pass by the tiny industrial port of Safaga and with the last rays of the sun we reach a sandy bay stretching wide for kilometers. No signs of human activities. But in the distance at its the northern end we can see a huge weired cake shaped building - which turns out to be a Sheraton hotel. The only hotel around for several hundreds of kilomters. It is too expensive for us but close to it there are some small houses. The flats can be rent from the hotel administration. In the silence of the early morning the red mountains of the western desert glooming in the morning sun. Far away on the sandy beach two Unimogs had stopped here last night. Private expeditions to the Sudan heading back home to Europe. We drive into the small village of Ghardaqa to buy some food for breakfast. On the way back I feel some unrest. Since so many years I like to try scuba diving but had no opportunity yet. Down at the basement of the hotel there is a small dark room, which is the magazine for the diving gear for rent. But: I do not own an official brevet. Don't bother me. I walk back to our apartement and get an id card from university. A moment later there are some movements in the shadows of the magazine: The adminstration personnel appears to start their days work. I show the "brevet" to the friendly egyptian and try to look as serious as I can. Hesitating shortly he finally hands me the whole gear that I requested for. Heavily but happily loaded I stumble back to the bunch lying beneath a forest of sun umbrellas. . Rising his head looking at me with one eye opened Edgar mumbles:„Chapeau, Herr Cousteau. Frechheit siegt“. I get my mask snorkel and the fins from the luggage upstairs, set up the gear and open the tank: Works! Winding into the suite and then stepping out into shallow waters. 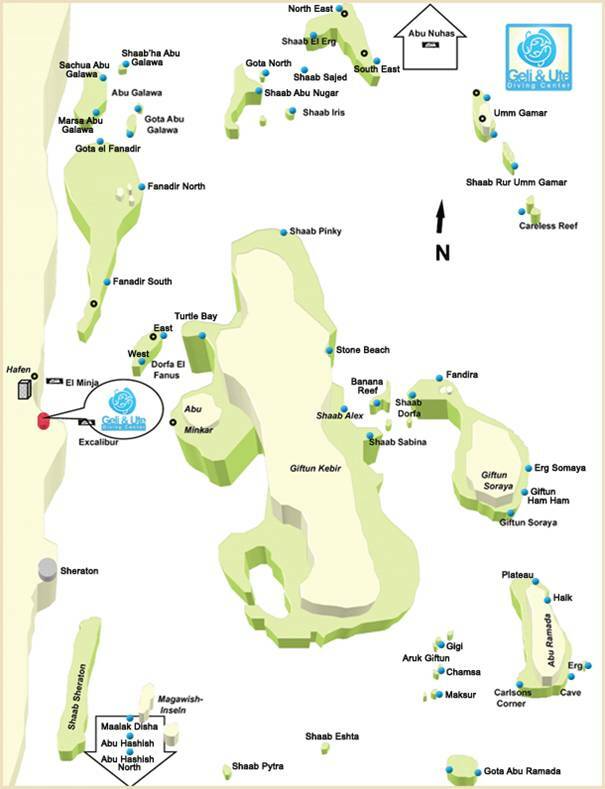 Nicely balanced by lead and luck snorkeling out to the reef and then: The first breath under water. So excited by this experience that I do not recognize the colorful world around me. An incredible experience indeed. A life long dream comes true. Only after some minutes I get used to the gear and now I am able to take a look at the fantastic world around me. 1988: On the road and on myself since the last eight months. 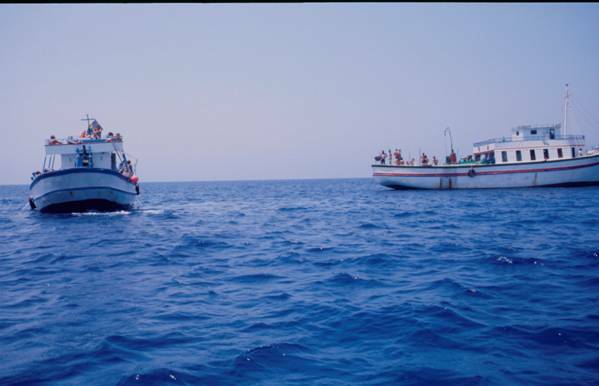 I am doing a circle trip around the mediterranean sea which will last one year. I had started in Spain, passed North Africa, headed north through Italy to turn southward again to Greece in the first months of 1988. With a little 4wd Nissan pickup I then arrived in Tureky, moved into Syria where I had an amazing trip into the area of the bronze age imperium of Mitanni along the Khabour river. Now I arrive at the port of Aqaba in Jordan. During the last weeks I had crossed the paths of El-Awrence for several times. It is fifty degrees Celsius and suddenly one of the heated Coca Cola cans drops off the instrument panel when the car hits a bump in the street. When it touches the ground it explodes and the sweet sticky brown stuff spreads around everywhere within microseconds. The ferry to Nuweiba/Sinai leaves only once in a week and until the next departion it will take another three days. So I park at the beach between the long row of tents of jordanian families spending their holidays here. many of them work in Saudi Arabia and they were heading home for their yearly recreational break. The boy from the tent to the right frequently visits me and we talk in a silly mixture of english and arabic. He mentions the little town of Ghardaqa at the egyptian coast. 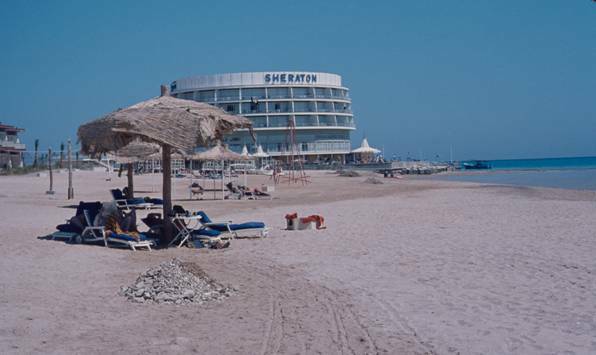 It takes a while until we figure out that this "Hurghada" on the maps, the fishermens village I had visited years before. Somebody must have played around with the consonants so the name on the maps had changed and became official. After some minor problems at the border entering the car into egypt I arrive in Nuweiba later the day. Spend the night at the Dive Centre there which obviously was built by the israelis in the first place and now is run by some egyptians after the peace plan had settled. 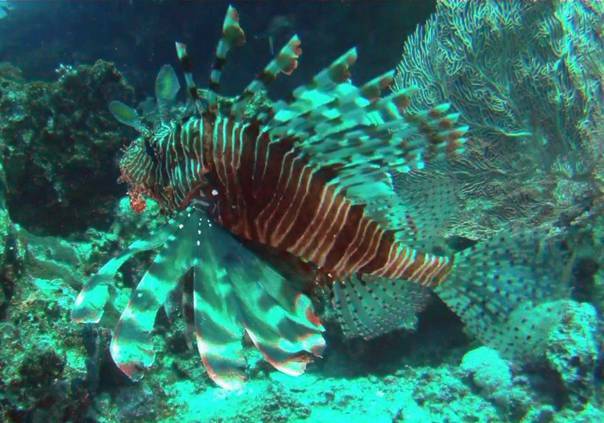 It is another four weeks later until I have the opportunity to go for a dive at the Red Sea. Entered Hurghada coming from Assuan after passing the desert on the road from Edfu to Marsa Allam and then heading north along the coast. I arrive at nearly the exact point where a couple of years ago the Unimogs stopped for a night. The "Sub Aqua Dive Centre" is located in the small hotel "El Smakah" where - conforming to its name - loads of grilled fish are served for dinner every night. And now I will get a proper "brevet". 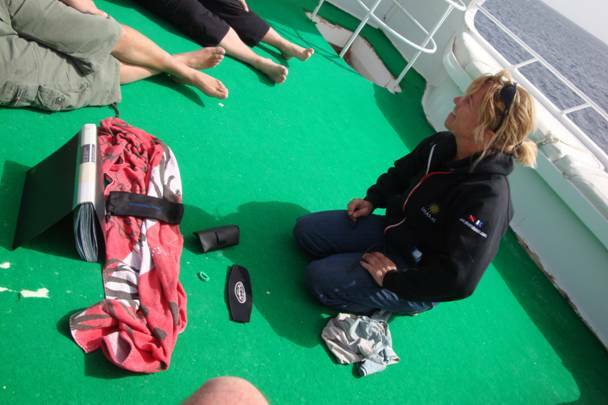 Renate Schai is the dive instructor and after three days I have my CMAS One Star. The dive log from these days mentions the reefs:„Erg Somaya“, „Rug Giftun“, „Careless Reef“, „Policeman“, „Giftun Kebira“ and „Shaab Rur Umm Gamar“. A very nice overwiew is given by the Link below which contains a partially interactive web page. Back in Europe for some months it is only january 1989 when it is time to return to the same spot. 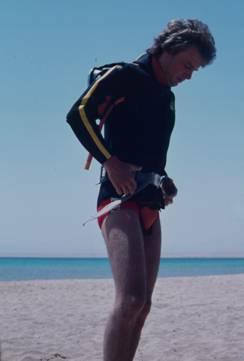 And again in 1992 at the El-Samakah meeting nice people there following their obsession for diving in the tropical underwater world. In that time I also had the opportunity to join the international underwater exploration to the Mahdia wreck in tunesian waters. 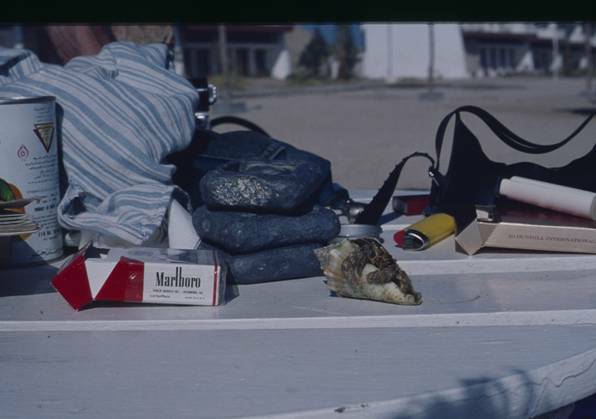 in the upcoming years I had dives here and there - unfrequently. 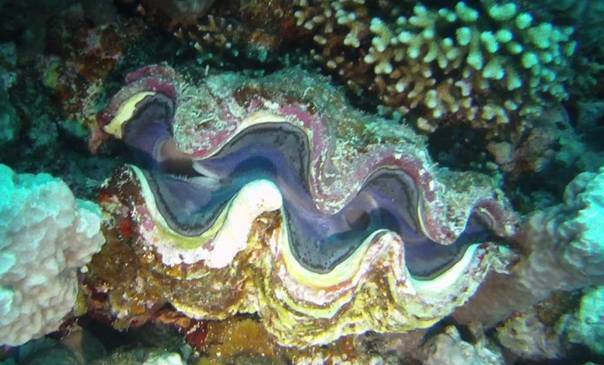 But the reefs of the Red Sea had never gone out of my mind. March 2012 I return. Sitting in the airplane. It is twenty years ago from my last visit to Egypt. Following the political change from the distance is not easy. It is sad that many potential visitors avoid the Nile state these days. But after all the people fights for its self determination and it can not be honored enough for its courage. This is a reason to show solidarity at least and express hope for the future. The low numbers of visitors makes enterprises stumble and some have already given up. Now I am looking forward on talking with egyptians about their future and the process of developing the new constitution. So I am somehow prepared but I am not expecting the view when stepping out of the airport buildings. The world develops, yes - children become men, villages become towns. And here the coast has turned into a sea of concrete buildings. Fortunately rather low buildings one should add. Years ago it was somehow obvious that a development will take place - at least after my wife's reports about her visit with a delegation to Egypt in the early ninetees. They had also visited the mayor of Hurghada where he showed maps and plannings of the proposed coastal development. Disturbingly it was mentioned then that an estimated third of the egyptian population should have moved to the region in the future. Now, everybody can verify: This did not happen. Keep in mind that water and electricity are always supplied by infrastructures connecting the nile valley with the coast. As easily imaginable there are no ressources of this kind in the area. The morning after the arrvial a weeks full of georgeous experiences starts and I am grateful to the friendly and helpful team of Shams Safaga Dive Centre . The mixture of guests from many nations made a perfect stay with days of enthusiasm, great humour, interesting talks and many stories told. See you again in Egypt, buddies ! Good luck to the Egyptian people ! Picture 11 As a map of the site is not at hand, Susi explains the underworld topography of a reef with the help of a towel and even more stuff. Picture 14 Lunch Ready. 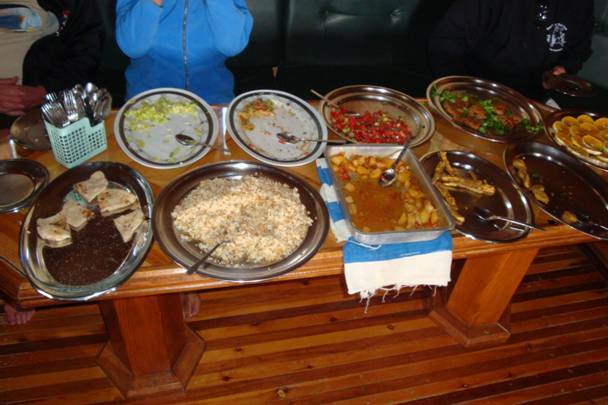 What the ship's cook serves on the table leaves hotel's food quality far beyond. The cam is a GoPro Hero HD 1, which I also use on a car, the bike or sailboats. It is waterproof 60 meters deep and quite frankly: I do not miss a display. An additional lense from Blurfix helps the auto focus to work under water. Fitted to a small 4.5 Volt LED lamp with 5500 Kelvin it works fine on close ups or in small caves along the reef walls. Anyway I know that I have to learn a lot more. 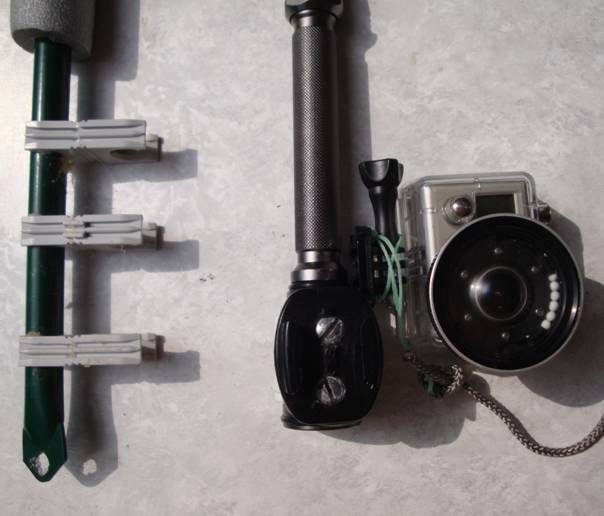 VidCam: GoPro Hero HD with original fittings attached by screws to the holding clips. Another year and for different reasons I had decided to go further down south. 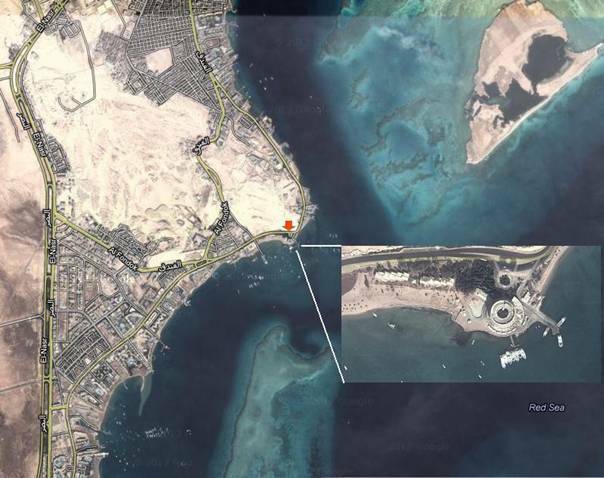 My coice was Werner Lau "The Oasis" near Marsa Alam where Sinia Divers base is located within the site. I must confess that I was somewhat overwhelmed by the structuredness of the organization arriving there after the night flight. Slowly I became used to it and of course all these rules make sense when you consider that the number of guests easily exceeds eighty. There are more than forty bungalows at the location but in march 2013 right before Easter I was lucky to be one of at least fifteen active divers a day. Management an employees are very professional - at least for egyptian standards - and also very friendly. A great and special Thank You to all of the extremely competent and friendly dive guides. The weired and minimal camera solution of last year was extended by an even more silly experimental one. 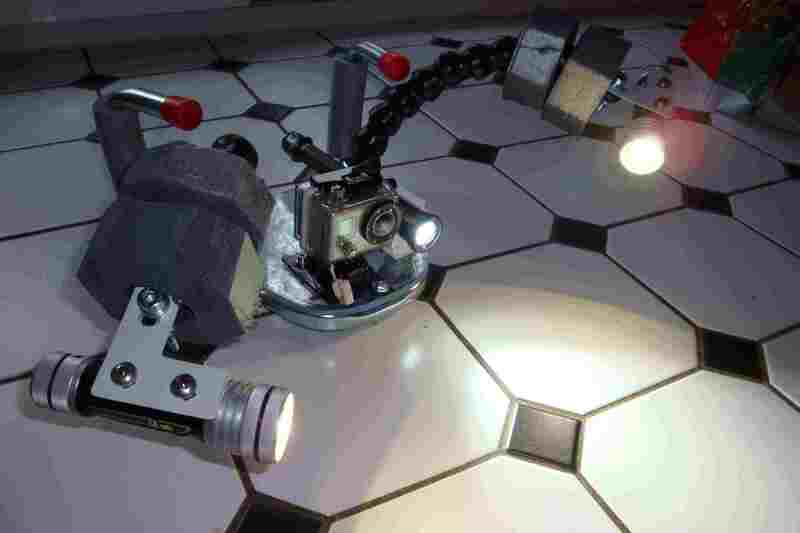 A pair of two more lights from Underwater Kinetics with 600 Lumen each was adapted on flex branches and the whole construction is attached to a hose holder, on which a peace of plastic is fitted serving as a mounting basis. 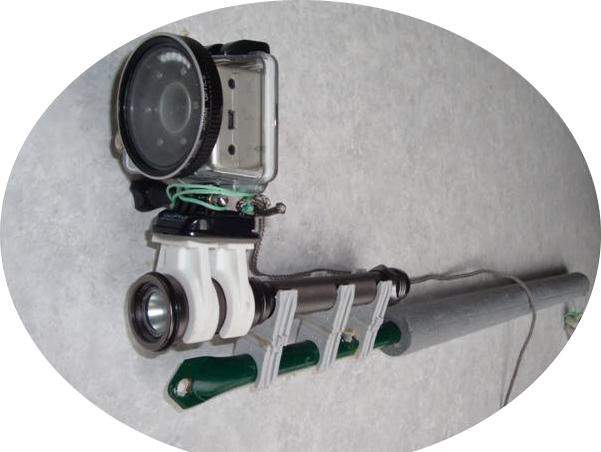 Two flexi arms from a last years edition are fixed to it as well as the GoPro box and the first diving lamp. During the short visit of seven days only some shots were possibkle and the resulting film is far from being a professional one. But it counts the fun to do it and work it out. For me it has the documentary character of a personal resemblance. If you like to watch it choose 720 p from the youtube menu - I did not uoload a HD version of it because the file is rather big for an upload. Gessler-Löhr, Eva Hofmann, Ulrich Hofmann, T.G.H. James, Lise Manniche, Daniel Polz, Karl-Joachim Seyfried.